Mobile esports veteran Number29 is geared up for the future of entertainment. 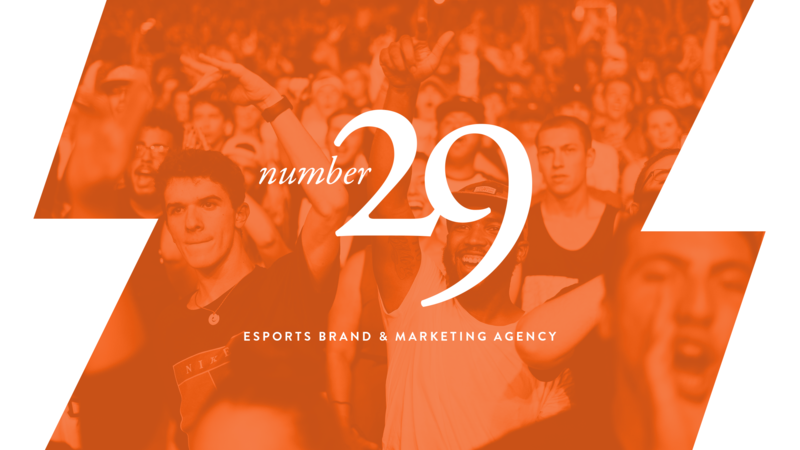 St. Louis, MO — May 16, 2018: Branding and marketing agency, Number29 relaunches today with a renewed focus on esports and the gaming community. This repositioning by Number29 places them squarely in the center of the burgeoning esports industry, as one of the few grassroots agencies built by gamers for gamers. With over 20 years brand & marketing experience with clients such as Super Evil Mega Corp, Disney, and National Geographic, plus a lifetime of gaming, Number29 aims to be the premier esports brand and marketing agency. “We’re very excited about shifting our focus too exclusively esports related projects and partnerships,” said Joshua Van Horsen, Chief Creative Officer of Number29. “ We are leveraging decades of brand and marketing expertise, and real-world experience within the esports community, to elevate organizations to create the best esports content in the most artistic and passionate industry; gaming. Our mission at Number29 is to empower online content creators, esports teams and organizations, game developers and publishers with world-class event design, marketing, branding, and content strategy services. Our love for the gaming/esports community is not a strategic business decision, but an extension of our core values. Being such, we are committed to providing educational tools, streamer assets, and content, and insights into our own processes to help strengthen the businesses of our fellow gamers. About Number29: We are a global esports branding and marketing agency built on a mission to support gaming communities, help streamers and esports organizations brand themselves and to encourage growth within the communities of the games we love. We do this through excellent design, focused strategy and a commitment to the next generation of gamers. Sometimes being late to the party can offer you surprising opportunities and that’s exactly how Number29 found its focus. In 2015, after years of pushing an Art Director career into upper management, Joshua Van Horsen fell in love with twitch.tv culture, and competitive mobile gaming. With a background of playing competitively at LANs in the late 90’s/ early 00’s, Josh had been a long time fan of esports. The prospect of mobile gaming creating that same social experience for a new generation of gamers inspired Josh to leave his cushy day job and actively become involved in the fledgling mobile esports community with his company Number29, and a Vainglory focused website, Vainshame.com. Three years later, and more than 20 live esports events around the world, Number29 has helped pioneer mobile esports and the future of gaming. Today, Number29’s focus remains the same: to support gaming communities, help streamers and esports organizations brand themselves and to encourage growth within the communities of the games we love. We do this through excellent design, focused strategy and a commitment to the next generation of gamers.